Spinal cord injury doesn’t just occur through accidents. In Caroline’s case, she had a sudden aterial venus malformation. This is a medical condition where a rogue blood vessel drains blood from the spinal cord, instead of providing it with oxygen. Caroline’s spinal cord inflamed and created bottlenecks, so signals were unable to pass through. Caroline was left with an incomplete T10 injury. She could still walk with crutches, but her injury still had a huge impact on her life. “I had just started a job as a teacher, but I had to leave as I couldn’t get around the DT workshop. I couldn’t do things I could do before like care for our animals or take the kids to school. Since Caroline sustained her injury through a medical condition rather than a physical accident, she was not transferred to a spinal centre. In fact, she was only diagnosed with a spinal cord injury a year later. She spent the year in between her injury and diagnosis using crutches full time, which lead to exhaustion and discomfort. 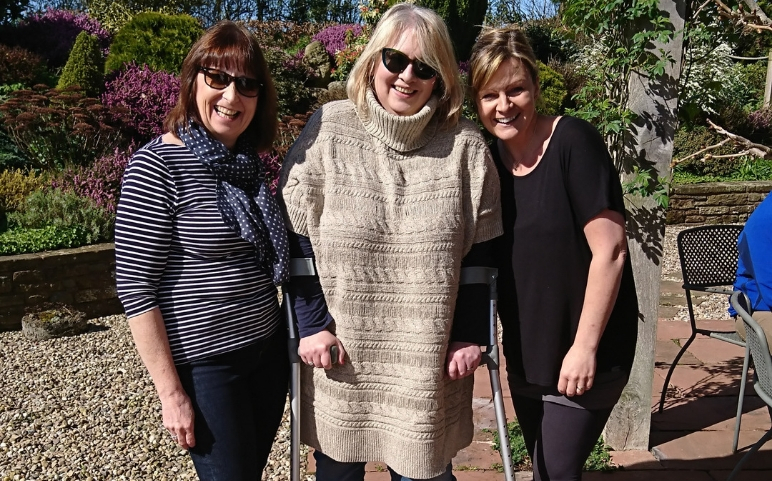 After another operation on her spine, Caroline was finally diagnosed with a spinal cord injury. One of the first things she was told to do was get a wheelchair through NHS wheelchair services. 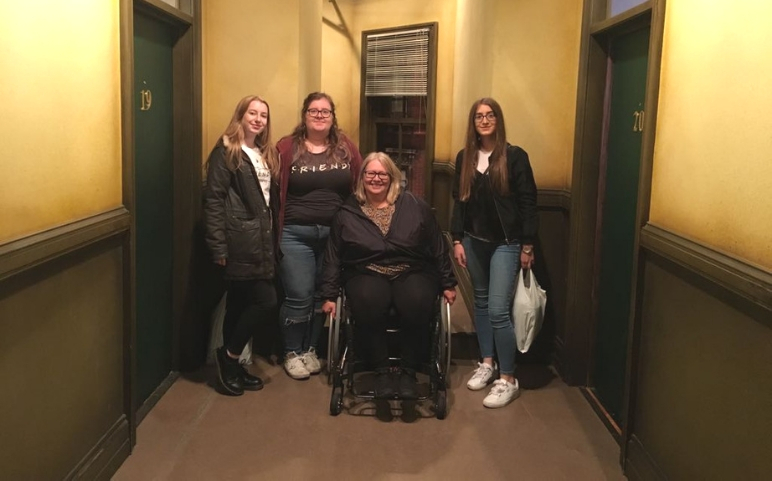 Through mentoring she was able to talk to someone in a similar situation to her who could “properly empathise.” Just as importantly, Caroline was able to have some wheelchair skills training with her new chair. With her chair, Caroline has the freedom to travel longer distances without pain or fatigue. Using her crutches everywhere felt like “walking at the bottom of the sea, every step was effort.” It was slow, uncomfortable, and occasional spasms made her feel like her legs might give way at any moment. Caroline’s chair helps her avoid the pain that comes with using crutches for long distances. There’s no constant pressure on her shoulders and wrists, preventing soreness. Although she uses her chair for long distances, Caroline hasn’t stopped using her crutches completely. She walks with them around the house to maintain her bone density and muscle tone. Do you have a spinal cord injury and are able to walk? Our Next Steps course could be perfect for you. On this course, you can learn life skills like navigating busy cities, travelling on public transport, and discuss pain and fatigue management and other issues. Email Karim for more information.